Little Fairies - Baby Songs channel features fun, educational musical videos for little girls, toddlers, and babies, presented in vivid, colorful HD. Since children have a natural curiosity and love for magic, enchantment and charming tricks their interest will be piqued with three characters in the form of Little Fairies. These Little Fairies present the various themes and learning concepts in an appealing and exciting way through music and movement. 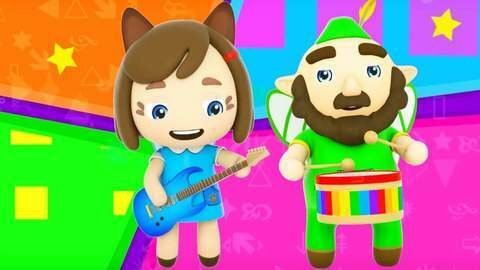 Little Fairies online children’s channel uses songs that are most familiar to young children such as ‘Bingo,’ ‘Johnny Johnny,’ ‘Daddy Finger’ songs, ‘Baby Shark’ and ‘Jack n’ Jill’ Nursery Rhymes. The concepts presented are best suited to children ranging from the developmental stages of babies and toddlers, kindergarten, thru second-grade levels. The videos are created to make learning fun and a lifelong endeavor. The various topics presented are color recognition, ABC recitation, and recognition, shapes, and numbers. Also, through the use of music children globally will appreciate their favorite and popular tunes and rhymes which stimulates learning. Little Fairies Baby Songs Channel can be found by visiting www.SeeZiskids.com site where parents can feel comfortable knowing their children are watching wholesome online educational content. Visit the website and browse through the various topics and themes that will complement any early education school curriculum. Kids will discover the joy of learning while having a great time grasping concepts. At www.SeeZiskids.com we welcome new viewers and are proud of the brand and what it represents. It’s fun and free!